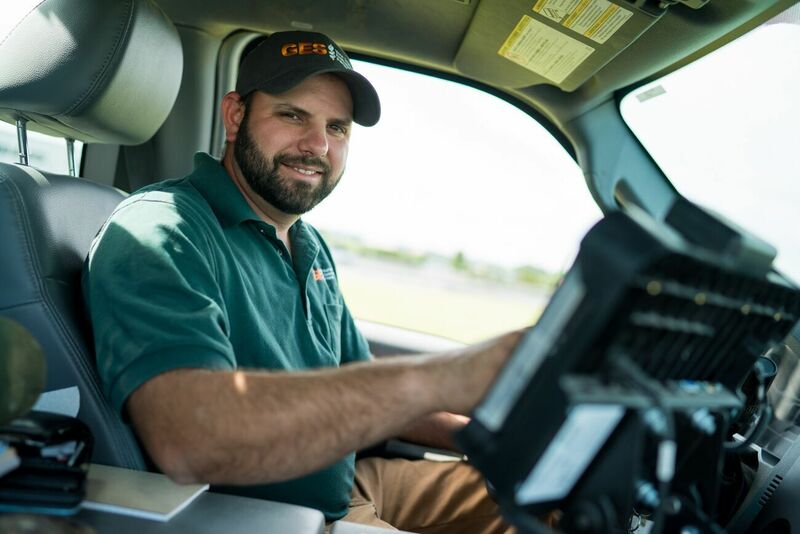 History - GES - Geotechnical & Environmental Services, Inc.
From environmental monitoring and Environmental Site Assessment (ESA) to above ground tank removal and emergency response, we pride ourselves at GES on the service and care we provide to our clients. Nothing is more important to us than your experience and the final status of your property. We build relationships with our clients that are founded on honesty and integrity. When you need us, choose GES as your trusted environmental partner. GES, A Company Who Cares About More Than The Bottom Line. GES was founded in 1988 by Bill Barker who was passionate about providing fresh water sources in places lacking that basic right. He hoped his business would generate enough income to drill wells overseas for communities lacking fresh water resources. During his life, GES financially sponsored the drilling of wells in both Burma and Cambodia, and other disadvantaged countries providing communities with the safe water they needed to maintain a better quality of life. GES Expands To Include Environmental Drilling. In the beginning, GES’ primary set of services was inspecting and removing leaking petroleum tanks. In 1990, Bill Barker started a sister company, EDAC or Environmental Drilling and Contracting and purchased a drill rig for environmental wells. Soon, other Virginia environmental consultants began hiring us to drill monitoring and recovery wells for their projects and an important aspect of our business began. GES Changes Its Business Leadership. Through his good work, GES/EDAC funded well drilling in both Cambodia and Burma and other disadvantaged countries before Bill passed away in 2000. Bill’s wife, Belinda, took over the company and carried on Bill’s legacy, leaving the company in 2016 as a profitable and reputable business. On January 1, 2016, Dixie Gas & Oil Corporation’s stockholders acquired the business and changed the name to GES/EDAC, Inc. The staff of GES remained as part of the transaction. GES/EDAC remains a separate affiliate stand-alone company, but Dixie has made significant financial and resource investments to support GES/EDAC, INC., including new office facilities, a new drill rig, expansions of fleet and equipment and marketing resource support. Enthusiastic Team Carries On The GES Mission. The team at GES continues to embrace the mission of GES and its founder. They believe in giving back to their community and making Virginia’s environment healthier. When you have a project where environmental consulting or drilling is necessary, choose GES, your trusted environmental partner. Are You Ready To Work With Professionals About Your Environmental Monitoring Needs?